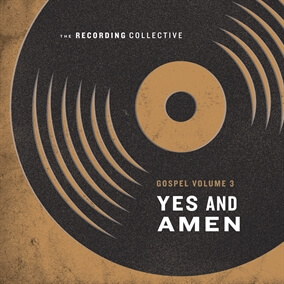 The Recording Collective released "Love Won't Let Me Down" as the project’s first single in early January and releases "Yes and Amen", the title-track, today on digital platforms. The five-song EP, now available for pre-order, releases Friday, Feb. 8 and features gospel-influenced congregational arrangements of popular worship songs also including "Who You Say I Am", "Reckless Love", and "What a Beautiful Name". Original Master MultiTracks and other worship-leading resources for "Yes and Amen" are now available.